Samsung’s latest Galaxy A6 series will receive quarterly security updates. 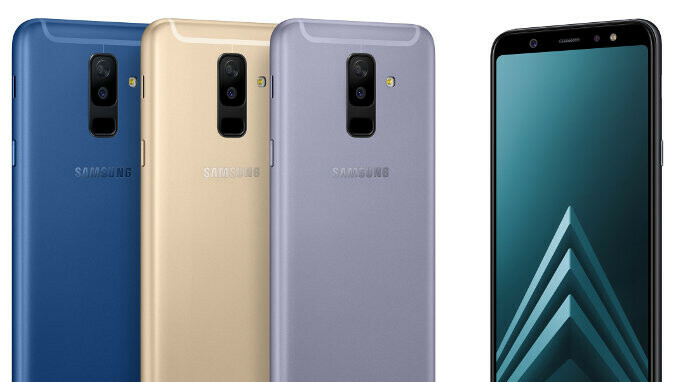 The South Korean company’s newest additions to its Galaxy A line currently act as the entry-level models and now, in an unsurprising move, the company’s support page has been updated to reflect the security update schedule for the two new devices. Samsung currently reserves the monthly security patch privilege for its flagship Galaxy S and Galaxy Note devices, although certain popular mid-range devices such as the Galaxy A5 (2016), Galaxy A5 (2017), and the Galaxy A8 (2018) also receive frequent updates. When it comes to the brand’s budget devices or less popular options, however, these receive security patches every three months, and it appears the recently-announced Galaxy A6 and Galaxy A6+ will be joining this group of smartphones. On a more positive note, Samsung’s latest devices launched with Android 8.0 Oreo straight out of the box, so they will likely see an update to Android P sometime early year. Also, if sales are impressive enough, the South Korean giant may even opt to update them to Android Q when released in 2019. Presently, however, Samsung is yet to confirm its major update plans for the smartphones. I understand it’s not a flagship product, but I think any consumer should feel they are protected from vulnerabilities while using a device. I know this might sound crazy, but maybe if Samsung decided to trim down its product line from two dozen smartphones to just a half dozen (covering low, mid, and high range with 6 products) then it wouldn’t be so hard to offer monthly security updates for every device. When you make 100s of phones and then can’t even give proper updates to them. My samsung C9pro... The supposed-to-be better than Premium-midrange (A-series) still on August 2017 security update... W*F samsung!!!! No security update in 9 months!!! How do you expect me to buy another samsung?? Thats why i don’t buy any more Samsung phones.A lot of empty promises, and if you wan’t fast updates you only have 2 choices Iphone and Pixel and thats it!